Open Letter to Emergence Burn – 11th Principle: Consent! Creating a new burn involves a lot of effort and learning; mistakes will be made. We understand conversations on Facebook can erupt quickly, often invoking anxiety and fear in those being called out or responsible for moderating a group. We write this open letter out of disappointment regarding leadership’s response to the racist event posted in the Emergence Facebook group and the treatment of the people of color and allies who responded. 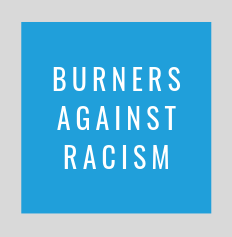 Every burn is part of a larger global community that represents each and every burner. We feel it is our civic responsibility to respond to the recent incidents. Racism and censorship actively work against radical inclusion and have no place in the burn community. Emergence’s stated goal of building an inclusive, cooperative, and collaborative community requires everyone’s voice be included, heard, and valued. Silencing and censoring communication on social media is corrosive to that goal — unless that communication is hateful, abusive, and/or threatening. Public statement of apology, without excuse or explanation, that takes ownership of actions and describes what steps will be taken to move forward. Public statement committing to organizational transparency. The racist and/or dismissive comments posted by community/FB group members; examples include: all lives matter, dismissing concerns to trolling, racist is a hate word, slaves were enslaved by their own people, playing the victim, minimization, false equivalence, you don’t know us / aren’t coming, being an ally isn’t good enough, tone-policing. Any future racist comments, behaviors, events, and art. Create a Code of Conduct for Emergence Burn. List of other burns’ Codes of Conduct to help the process. Event organizers and key leadership complete racial justice training similar to the resources included below. Seek out people of color for event organizer and leadership positions and Facebook group admin/moderator roles. Create a civic responsibility art grant that specially focuses on projects that promote diversity. Revise the Facebook Rules of Engagement based on community feedback for clarity and post in a permanent place. Identify process of how Facebook group issues will be dealt with going forward and how you will prevent admins from inappropriately deleting, censoring or removing people. Create an Emergence Burn Facebook page for official announcements and allow the group to be the unofficial community discussion group. Send a representative to the Southeast Leadership Roundtable being held the following Emergence. What’s the Difference Between Racism & Prejudice? Open Letter to the Fire Pony Creative Society (Constellation Burn) – re: racist art.